Not content with a $500,000 Lamborghini to chase down criminals in Dubai, the emirate's police chief has announced that it will soon be adding a Ferrari to its fleet. In a tweet on the official Dubai Police twitter account, Lt General Dhahi Khalfan Tamim said: "Soon Ferrari will join Dubai police fleet". He added: "Dubai is a cosmopolitan city and its police cars should reflect that. "We have been pleasantly surprised for the reaction of people on the Lamborghini so we said a Ferrari would be a good choice too." Last week, Dubai Police unveiled its latest addition to the force: an AED2m ($500,000) Lamborghini. 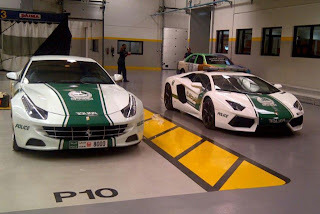 Dubai’s police chief has said that a number of Ferraris to be introduced to the force will be driven by female officers. Lieutenant General Dahi Khalfan tweeted that he expected to see Dubai Police’s female recruits getting behind the wheels of the Ferrari FF supercar, which costs about $500,000 and has a top speed of 335 kmph. 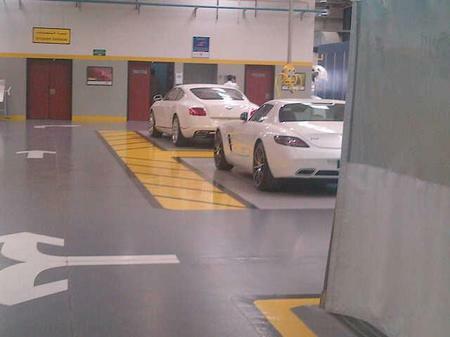 Dubai Police made the announcement that the Ferrari FF was joining its fleet via Twitter earlier this month. The Ferrari FF is a three-door, four-wheel drive grand tourer with a top speed of 335 kmph, capable of accelerating from zero to 100 kmph in 3.7 seconds. Earlier this month, Dubai Police also revealed that it was also adding an AED2m ($500,000) Lamborghini to its fleet. Cops in the emirate said the Italian supercar had a top speed of 350 kmph, meaning police should have no trouble chasing down offenders. The two-door roadster, which was first unveiled by Lamborghini at the Geneva Motor Show in 2011, boasts a 6.5 litre V12 engine with 690 hp. Dubai Police’s current fleet includes the Toyota Land Cruiser and the Kia Mohave.